I’ve always been interested in young Lebanese talent succeeding in Lebanon and all over the world but, I do not draw attention on fashion usually and this is my first post about this industry. For those of you that are into fashion I am sure you will like this post. 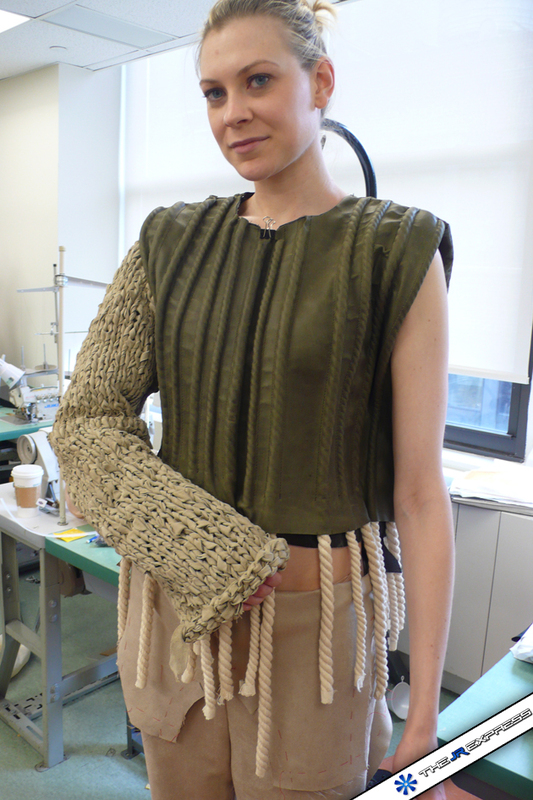 Joanna Akkaoui, Lebanese, entered Parsons School of Design in Paris in 2007 and transferred in 2009 to Parsons New York from which she graduated in May 2011 with a BFA (Bachelor in Fine Arts) in Fashion Design. 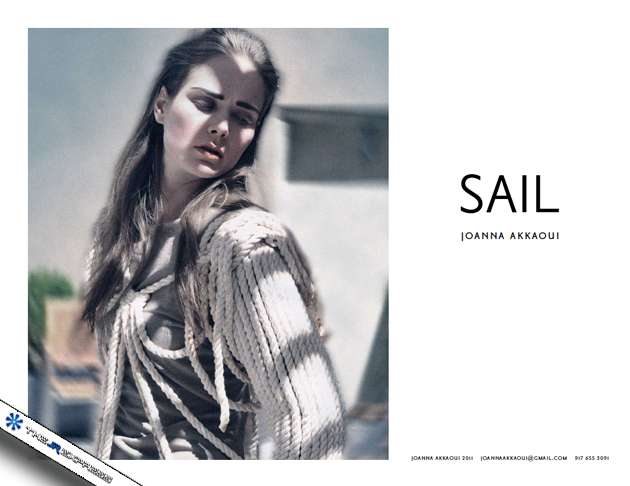 Akkaoui created her first collection “Sail” for her final year thesis project: A collection mainly focused on Rope. The idea of the collection came from a road-trip Joanna took in Normandy (France) during which the roughness of rope and its structure caught her attention. She challenged herself to create a collection that mixed haute couture with ready-to-wear which was really difficult to do. 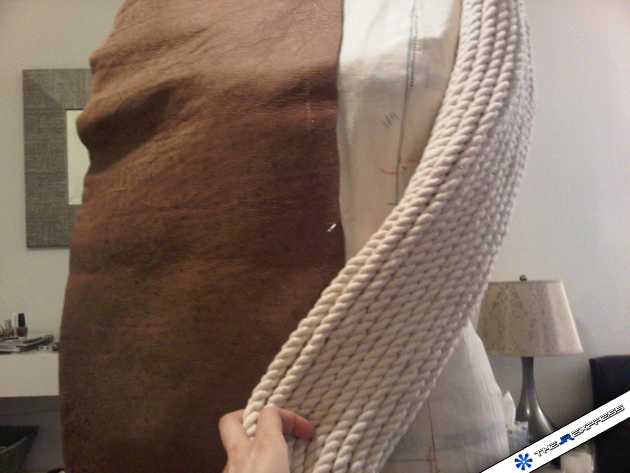 During the creation of her line Joanna faced a lot of challenges mainly concerning the raw nature of the rope that is not intended for fashion creations. Of course all this required the use of sophisticated machines and the help of specialists, Joanna really managed to get access to all what she needed and get everything ready before the deadline set by Parsons. Joanna presented her collection to a jury panel composed of influential members of the New York fashion industry such as representatives from Oscar de la Renta, Dona Karan,Ralph Lauren, Opening Ceremony… The Sail collection was then selected with some other student’s collections to be exposed at Saks. 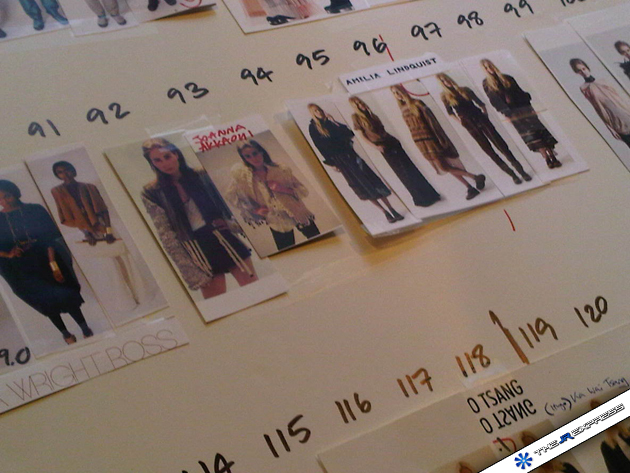 Joanna is currently working at Marc by Marc Jacobs in New York in Accessories Design. 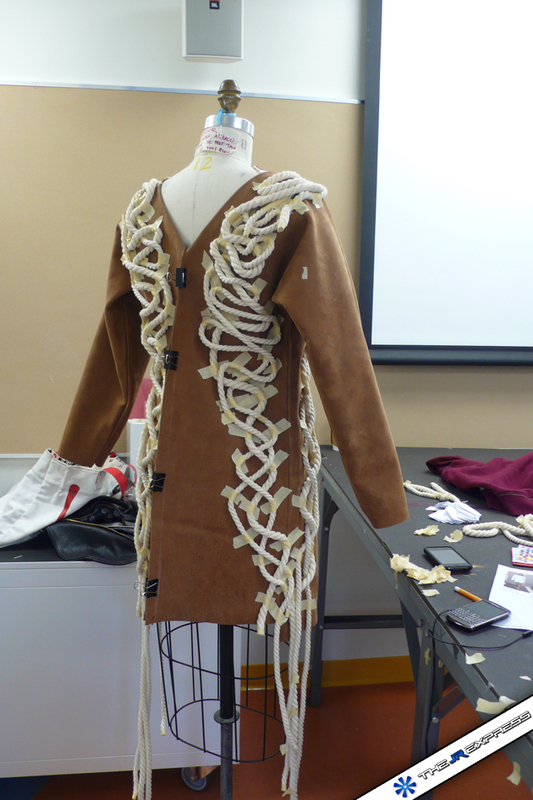 After gaining some work experience her goal is to get a master’s degree in Fashion Design. 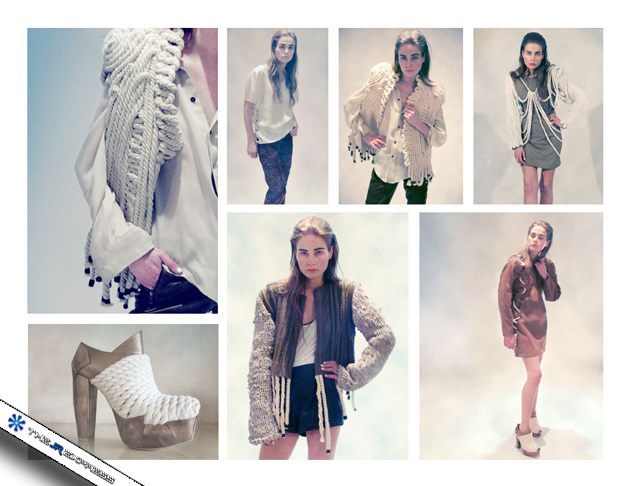 Check this video to have a look at multiple Parsons students collections and don’t miss Joanna from 0:30 to 0:53 ! Previous Post How is MTV Lebanon Dealing with the Digital Age ?